This system has been the professional’s choice for many years. An orange six point ratchet suspension safety cap, with nylon webbing (SC-50-6R), that gives an extremely secure fit and balance, is appreciated by the full time user. 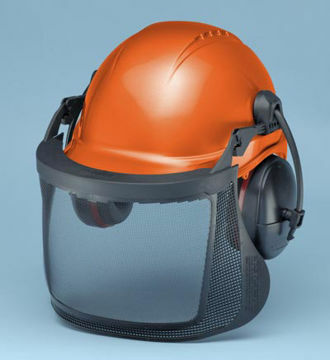 A black low profile ear muff (HM-2030) with 25 dB NRR gives an aesthetically pleasing contrast to the orange safety cap. 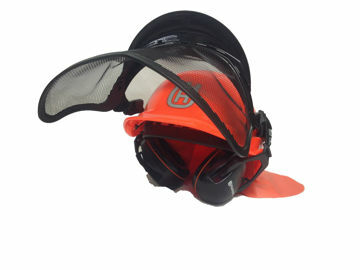 This safety helmet comes with Visor Bracket (VB-30). A nylon mesh visor (NV-70) is used for this model.